Marble Restoration Etobicoke, Ontario, We are marble experts. We understand and appreciate its beauty and individuality. Our passion for what we do and our commitment to customer service set Etobicoke Stone Restoration apart. When it comes to your Marble and Limestone, we offer cleaning, honing, refinishing, sealing, polishing, stain removal, etch removal and repair. We can restore your marble and limestone floors, showers, walls, fireplaces and more to like new, then we’ll show you how to keep them looking that way. Marble Restoration Etobicoke, If your marble is damaged beyond repair, there’s no option left but to replace it. A marble tile is the easiest to replace, otherwise a complete resurfacing is called for. Minor cracks, on the other hand, can be easily patched using a compound made especially for marble repair and smoothened out using an oscillating tool. Marble Restoration Etobicoke, The first step in the restoration process is cleaning the marble surface. Although this sounds like a trivial task, a single misstep can spell doom to you beloved marble table top or floor. For example, the use of vinegar, a common household cleaning agent, can cause marble to turn to sand. This is because the acid in vinegar does not agree with marble, which is essentially limestone. The correct method is to use mild detergent or diluted ammonia to wash off dirt. Remember to rinse with warm water and dry it off with a soft cloth. At TCROWN Marble Restoration Etobicoke, we know marble and its characteristics, its likes and dislikes. 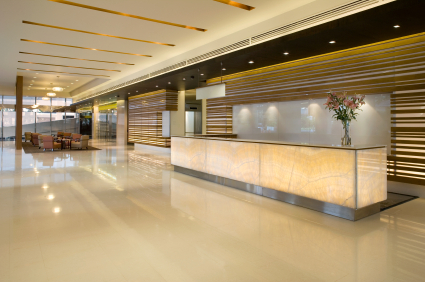 Our team of professional technicians are committed to educate you on proper care and maintenance of your marble floor and table. We not only perform these restoration services, we also have an eclectic range of products which you can choose from. So why wait? Call us now to make a reservation. hidden marble floor restored greenfield maIf you have a marble floor, wall, countertop, vanity, or shower that has lost its shine and beauty, then it is probably time to call a professional marble restoration contractor. Etobicoke Stone Restoration can bring your stone back to its original condition. Even with a matte, or honed finish, marble and limestone require proper care and maintenance. A matte finish will need to be periodically cleaned and re-sealed by a professional. At Etobicoke Stone Restoration, we not only perform these services, we can instruct you on the proper products you should use to clean your marble going forward—so as not to damage the surfaces. At Etobicoke Stone Restoration, we have a professional process for cleaning your natural stone, ceramic and porcelain tile & grout floors, shower walls, and other surfaces. Dirty Tile and Grout? Natural stone, ceramic tile, porcelain tile, and other man-made tile often need to to be cleaned and maintained professionally. Especially in commercial settings, tile that has a textured finish has a tendency to collect dirt that builds up over time despite routine cleanings. At Etobicoke Stone Restoration, we have a professional process for cleaning your ceramic and porcelain tile floors, shower walls, and other surfaces. We also carry a full line of cleaning products specifically designed to help you maintain your tile to keep it looking like new! Etobicoke Stone Restoration uses professional strength cleaners as well as high-pressure water jets to clean away the dirt and soil from grout lines. When tile surfaces get dirty, it is often the grout lines that are most noticeable. Etobicoke Stone Restoration provides professional services designed to deep clean grout lines and keep them from getting dirty again. However, it is important to know if your grout is “sanded” or “non-sanded.” Most tile is grouted using sanded grout. Sanded grout is very porous; when dirty water builds up in sanded grout lines, the water dries leaving behind dirty grout. If the tile was not sealed initially, or over time the sealant wears off, you will have dirty grout. Etobicoke Marble Restoration uses professional strength cleaners as well as high-pressure water jets to clean away the dirt and soil from grout lines. Afterwards, a clear sealant is applied to act as a barrier to dirt and bacteria going forward. Sometimes even with the most aggressive cleaning methods, one cannot totally clean up some stains. Etobicoke Stone Restoration has a process that can clean and ColorSeal your grout back to its original color or even a new color if you prefer! The ColorSeal product we use is the best available. It has constant acting mildecides and other properties making it so much more than a mere cover-up. Etobicoke Stone Restoration will provide you with outstanding customer service, quality craftsmanship and knowledge that only trained professional can provide. We recognize the investment that you have made In your home and will work with you to ensure that it will maintain its natural beauty over time.